Fence Workshop™ of Apex, North Carolina has been supplying steel fences throughout the area for over five years. Apex is full of historic sites and fun activities. A steel fence is the perfect way to capture that historic charm, and blend in with the surrounding architecture. From the Downtown Apex to the New Hope Valley Railway, we are inspired by all the charm that Apex has to offer. 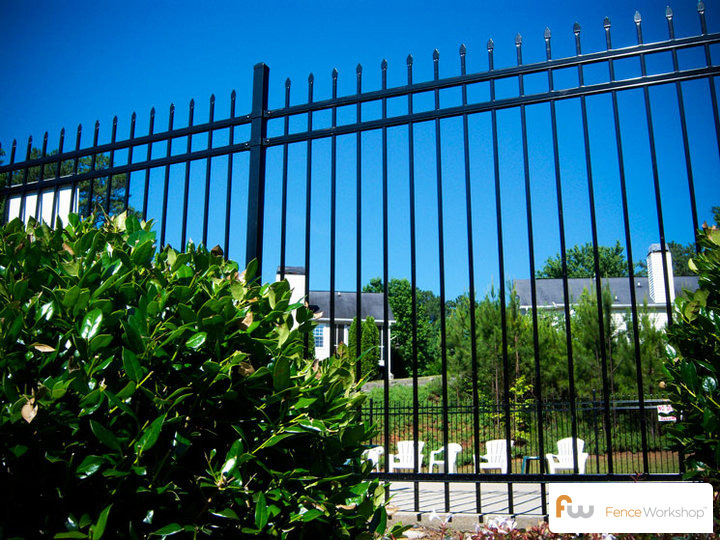 Our steel fencing is recognized as some of the best in the industry and we are able to offer some of the most competitive prices supplying the products in and around Apex, North Carolina. Our steel fences are much stronger than aluminum and can last just as long due to the advanced technologies that go into the fence’s exterior powder coating. Why choose Fence Workshop™ for chain link fencing in Apex, North Carolina? We supply all styles of steel fence in Apex. We supply a steel fence additions like scrolls, rings, ball caps and gates. 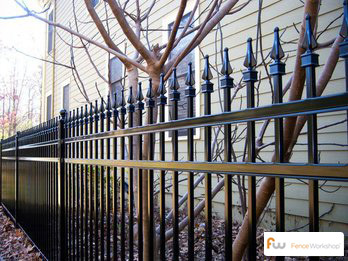 Because of advanced powder coating technologies, our steel fences can last just as long as aluminum without rusting. Our steel fences are much stronger than comparable aluminum fences..
Our steel fences come with a best in class manufacturer warranty. We’re a leading Apex fence company that supplies steel fences in Apex, NC and surrounding areas like Durham, Wake Forest, Cary, Raleigh and more. Chain Link Fences In Apex, NC. Wood Fences In Apex, NC. Vinyl Fences In Apex, NC. Fence Materials In Apex, NC.